Sometimes the words "digitally remastered" is like music to our ears, especially in the case of our Nintendo 64 classics! 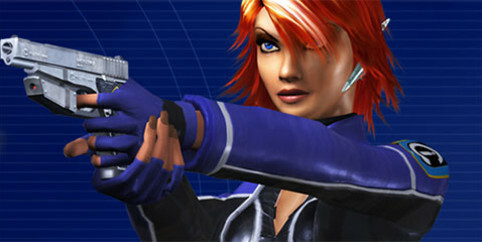 This time, we've got the original Perfect Dark on the Xbox LIVE Arcade, thanks to Rare and Microsofts team up. Perfect Dark has an updated, smoothed out frame rate, as well as being rendered in high definition. Joanna Dark would be proud, as long as it's not all just another one of those galactic conspiricies. We were happy to hear that Co-op will be intact, with local split screen confirmed, as well as a mention of "Online Multiplayer". They've promised all of the original features of the game are included, as well as a few updated ones for Xbox LIVE. If you haven't picked up the free promotional Xbox theme, why wait? The release has been narrowed down to "Winter 2009", so keep an empty spot on your holiday gift list! Page created in 0.5588 seconds.